I have this severe dislike towards George Coloumbaris, I can’t really pinpoint why but I just can’t like him. 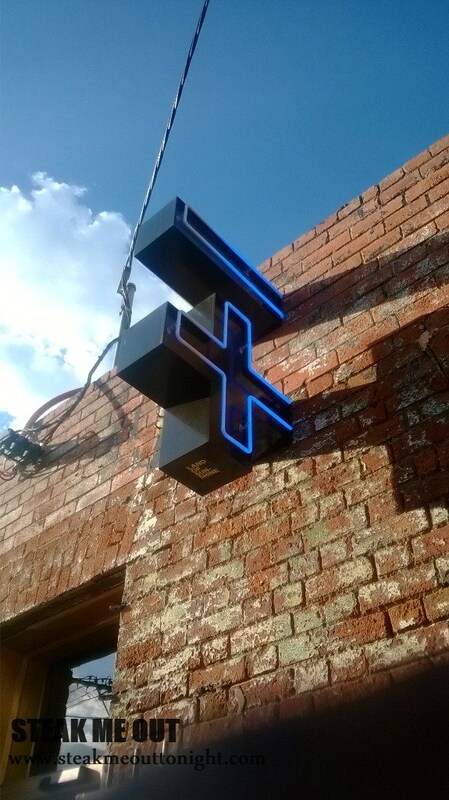 That being said, I do like some of his places, Jimmy Grants being one of them. I went on a Friday for a quick dinner with a couple of friends, with the intention of ordering the full menu. I didn’t quite get to get everything (my friends chickened out) but I did get a many a things including the dim sims, chips, Mr Papadouplous, the Nonna Maria, the Patris, and the lamb shoulder. The lamb was great, tender, soft and delicious. 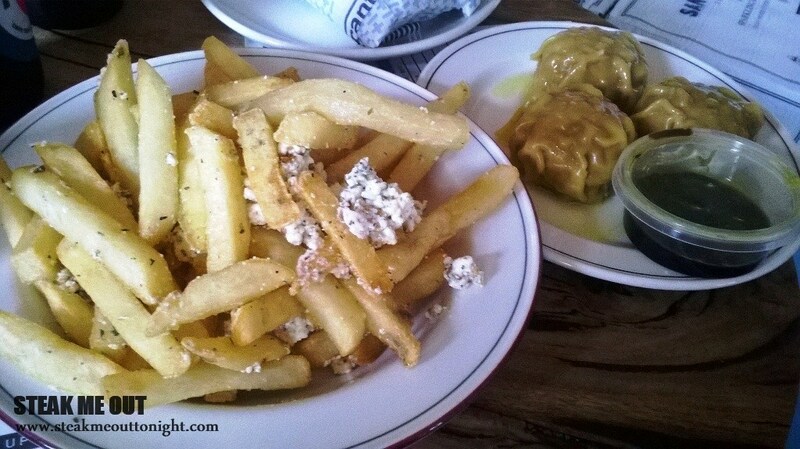 The chips were good, the oil and fetta giving a great distinct flavour. All the souvlakis were good, the gourmet style with chips inside worked really well, although both the chicken and the bread were a bit dry. 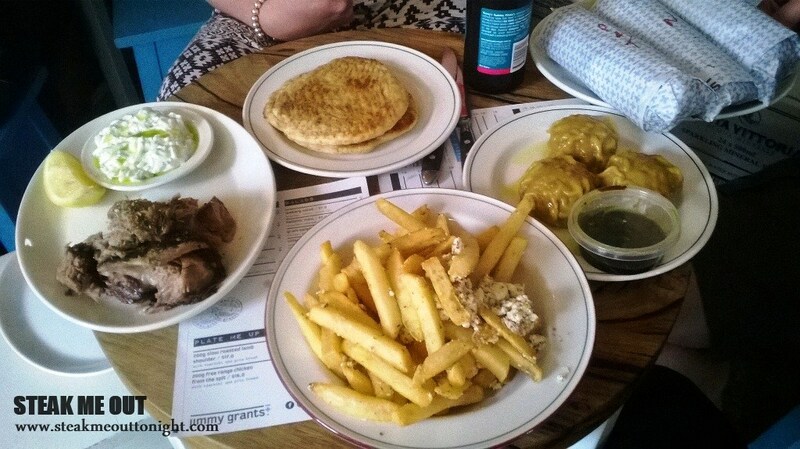 The dim sims were great, I’d definitely order those again, as well as that Jimmys wheel. I went back a couple of days later and tried the Bonegilla and the grain salad. 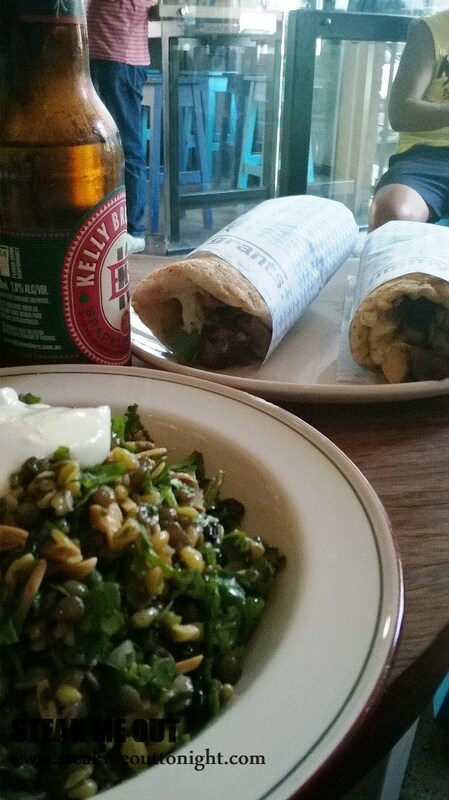 While the Bonegilla was still nothing over the top, I will say that the grain salad was phenomenal. Crunch, slight sweetness with the raisins and creamy yogurt; it was so fresh and amazing. 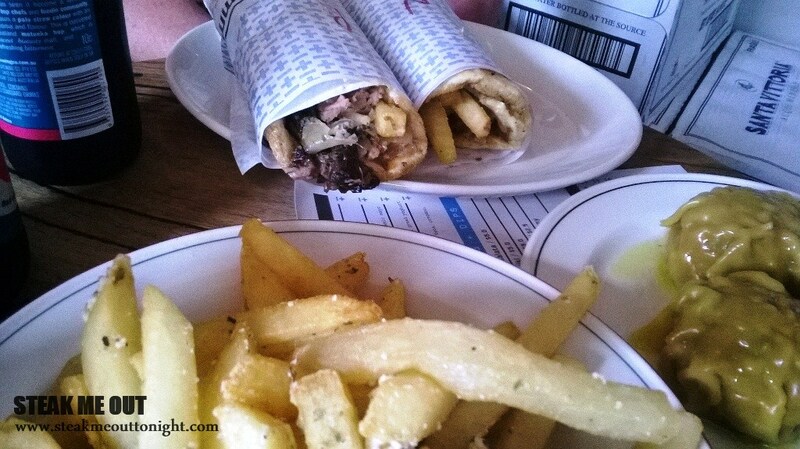 For a quality gourmet souvlakis, at pretty low prices I’d definitely recommend Jimmy Grants, go with the Mr Pap and the grain salad and you can’t go wrong. 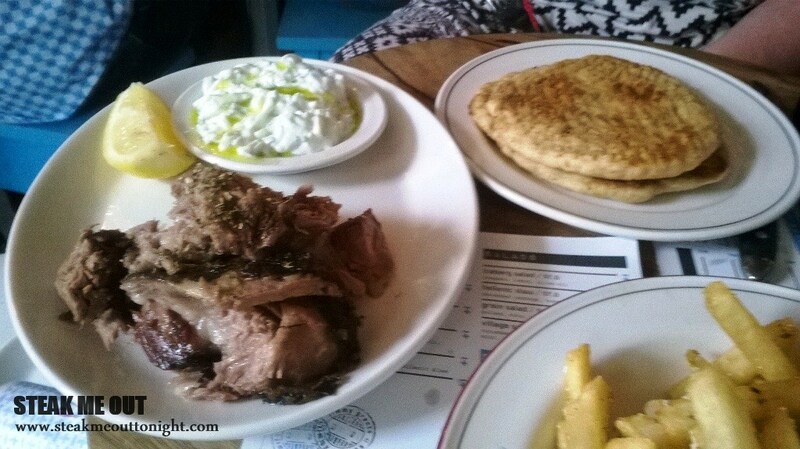 Posted on April 9, 2014 May 11, 2014 by AdrielPosted in Melbourne, SteakLESSTagged Cheap, George Coloumbaris, Great, Jimmy Grants, Melbourne, souvlaki.